A cover letter is an opportunity for an applicant to lead the employment race by marketing his/her skills and strengths that match the job profile. It needs professional copywriting skills to meet the expectations of the potential employer. Check a list of Sample Cover Letters for different job profiles and purposes written by professional copywriters and experienced industry professionals. Download and analyze these samples for writing a fresh cover letter to strengthen your resume. 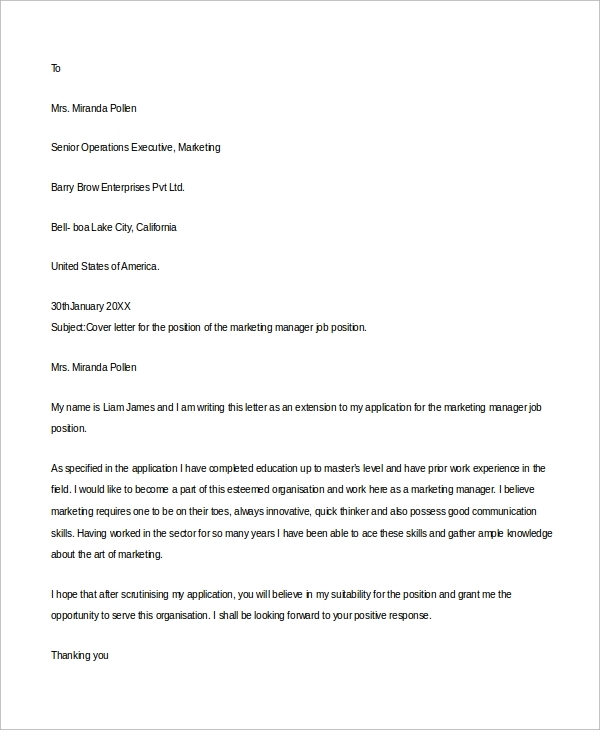 This sample Job Application Cover Letter PDF will help you in writing custom cover letters. Read the resume, analyze its structure, and write a fresh resume. It is helpful for both the freshers as well as the experienced job applicants. 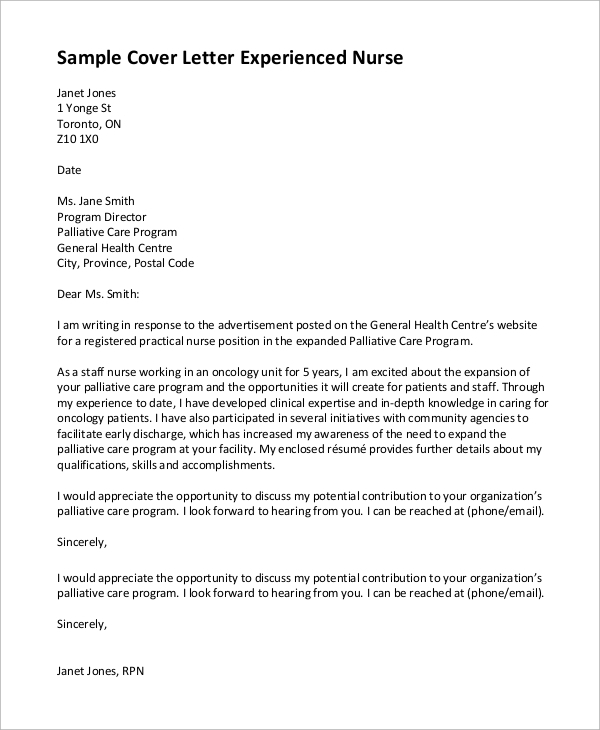 Experienced nursing professionals can use this Sample Nursing Cover Letter as an example to highlight their key skills and experience for the striking impression. Download the document, read example cover letter, and write an engaging, fresh letter copy. 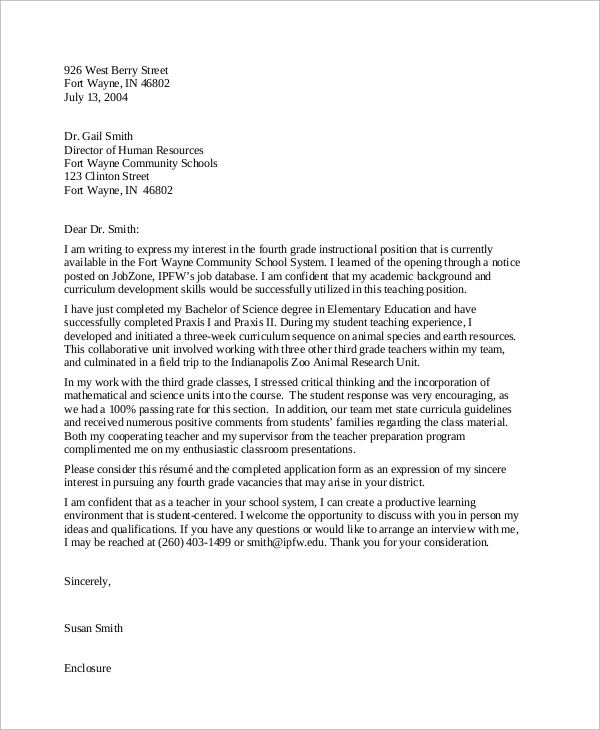 You can use this sample inquiry cover letter as a reference for writing a custom cover letter to inquire job opportunities as well as promoting your key skills matching the profile. Hundreds and thousands of job applicants apply for a single job position. They email their resumes to the potential employer. Almost, all resumes share common information like qualification, academic career and achievements, and other things. But, the employer needs more insights for deep analysis. 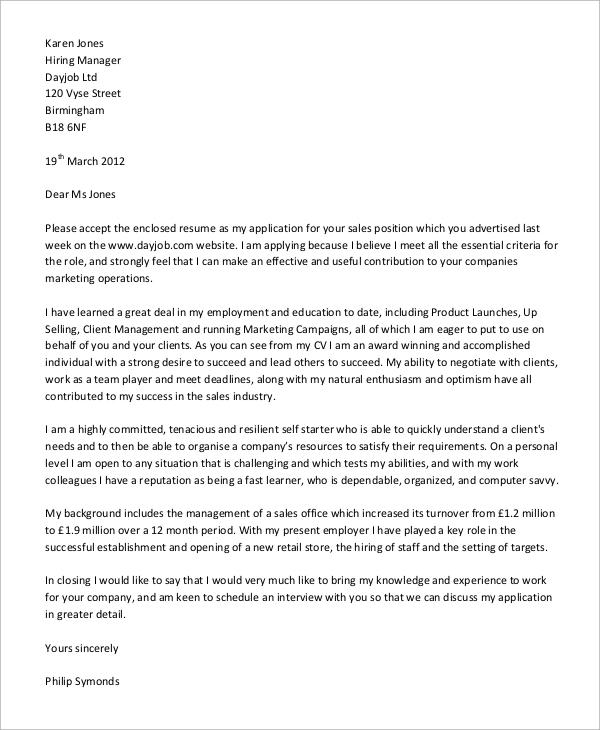 They use Cover Letter Samples as a tool for decision making. Applicants who successfully advertise their skills using cover letter get a call for personal interview rounds leaving others behind in the race. So, it makes the cover letter an important document to impress the employers via effective professional communication. 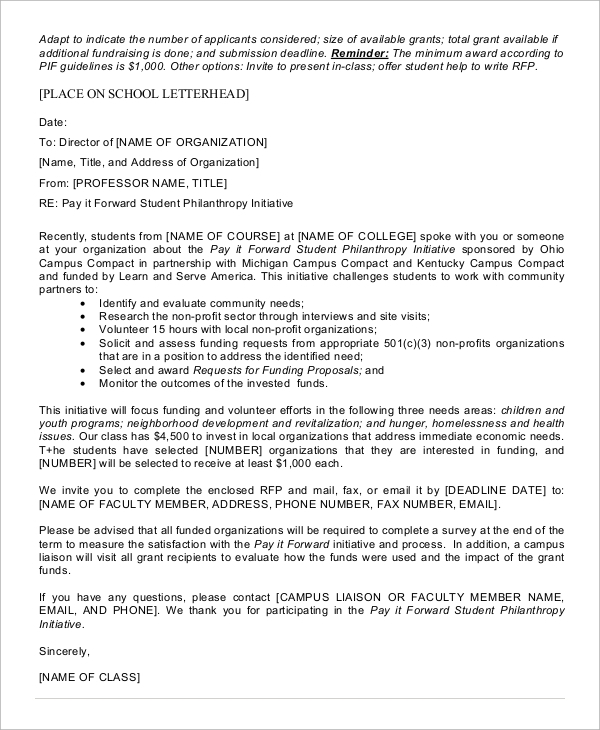 This document is helpful for the management applicants. 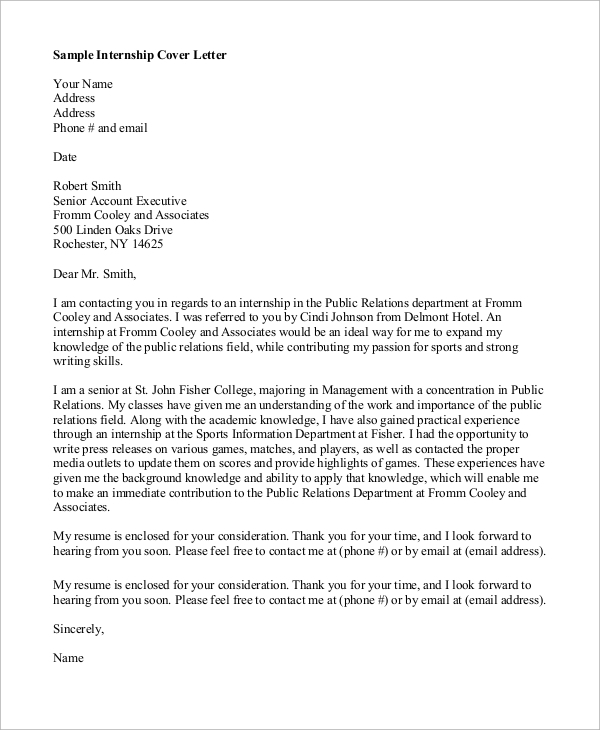 Download the sample sales cover letter PDF and read the document to learn professional cover letter writing and formatting for effective communication. This document will help both the freshers and experienced candidates applying for positions like office clerks, secretary, and receptionist, etc. 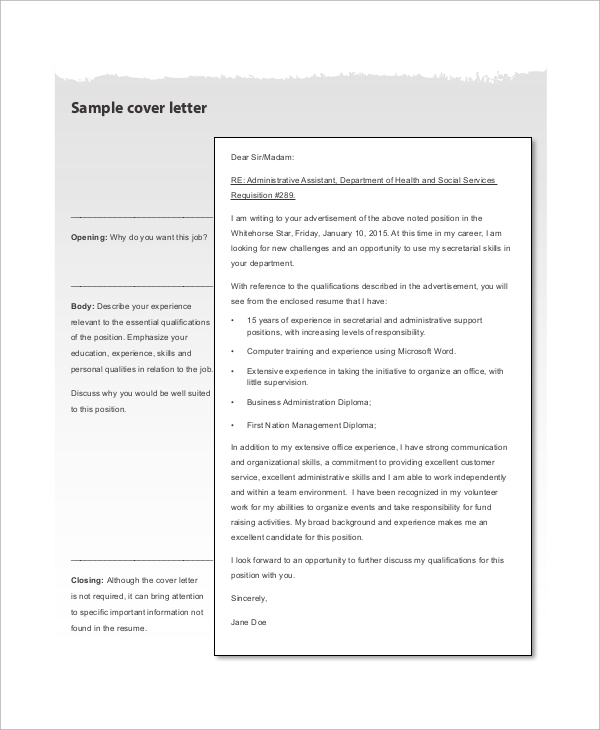 Download the sample cover letter to learn cover letter plotting and formatting. 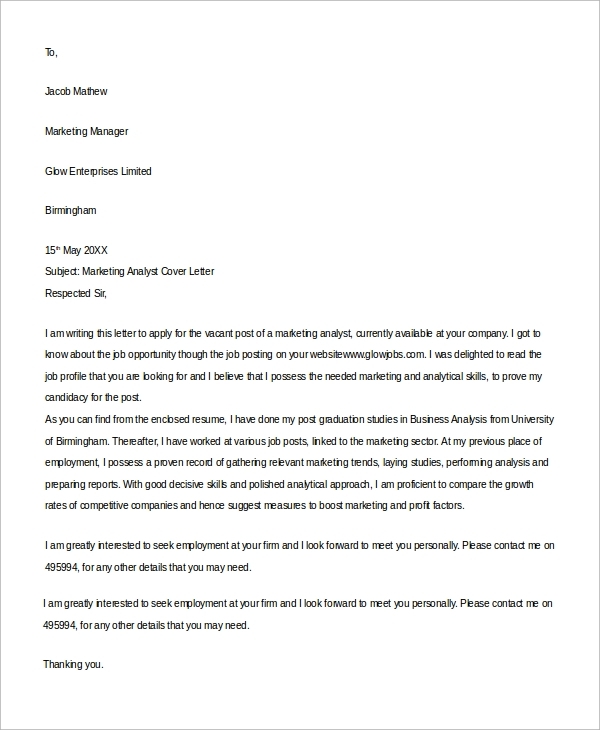 A cover letter offers you an opportunity to market your skills. It overlaps the communication gap between the employer and the applicant. Cover letter writing enhances personal branding and advertising skills. You can explain why you are a deserving applicant for the particular job position using cover letters that resumes cannot. Resume Cover Letter acts as a backup to your resume and boosts the chances to get a call for face-to-face interviews. Also, it enhances your copywriting skills. 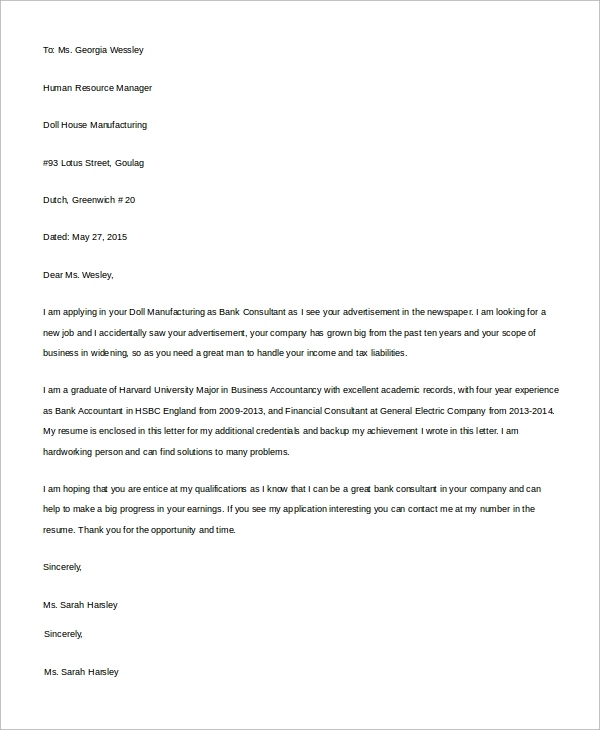 Our cover letter samples documents are available in MS-word and PDF format. Also, they are free to download and use. Download our documents and check the Cover Letter Formats for a job application, inquiry, and other purposes.